You will add many Cheats: Freeze Animals , Set Time 8AM , Super Speed , Unlimited Health and many more. Welcome to the article on this site linked to the trainer of theHunter: Call Of The Wild On this page you will also find a user guide that will allow you to activate all the tricks that this trainer promises to add. 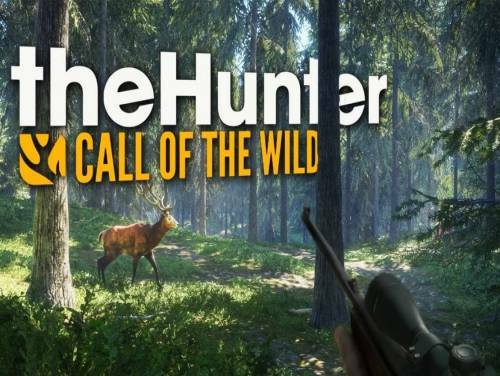 In the following page tricks of theHunter: Call Of The Wild you will be able to see the tricks and the codes we managed to collect for this game, thanks to them you will be able to overcome any difficulty, even at the cost of cheating a little. TheHunter: Call of the Wild is a hunting game set in an open world full of wildlife and very realistic. The experience of hunting in single-player or multiplayer, depending on your prey, and developing enable interesting for your character in the course of the game. The program you are about to download was not created by Apocanow. However, we have permission to publish and publicize by the authors of the Trainer theHunter: Call Of The Wild Trainer - v16252570. The contents of the file are virus free, even if sometimes they can trigger the AV as false positive. Numpad 1: Unlimited Health - toggle on to try and keep your hunter alive. Numpad 2: Unlimited Ammo - toggle on and many weapons have unlimited ammo. Numpad 3: No Reload - toggle on and many weapons can be fired without reload. Numpad 4: Add Money - each press adds more. Numpad 6: Add XP - each press adds more. Numpad 7: Add Skill Points - each press adds more. Numpad 8: Add Perk Points - each press adds more. you wish to move to the backpack. Toggle off when not needed. Numpad 0: Add Rifle XP - you need to have accessed the CACHE at least once. and kill something and harvest it to make the value stick. Numpad /: Add Handgun XP - you need to have accessed the CACHE at least once. Numpad *: Add Shotgun XP - you need to have accessed the CACHE at least once. Numpad -: Add Bow XP - you need to have accessed the CACHE at least once. will be able to carry a massive arsenal if you like, etc. speed. Use this to more quickly move about. will be frozen into place and easy to get to and then shoot. Toggle off when not needed. off to resume normal time movement.